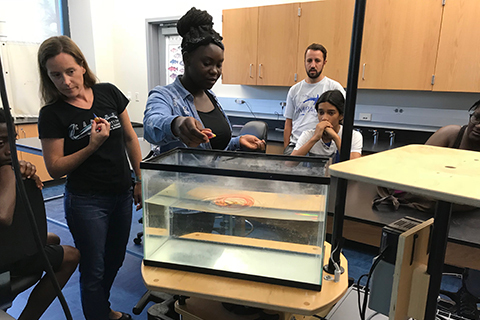 In partnership with the Phillip & Patricia Frost Museum of Science and Miami-Dade County Public Schools, the Rosenstiel School annually hosts a summer program as part of the Integrated Marine Program and College Training (IMPACT) where 65 low-income, first-generation college-bound students study meteorology, oceanography, geology, biology, ecology, and resource management in a hands-on, interactive environment for six weeks. 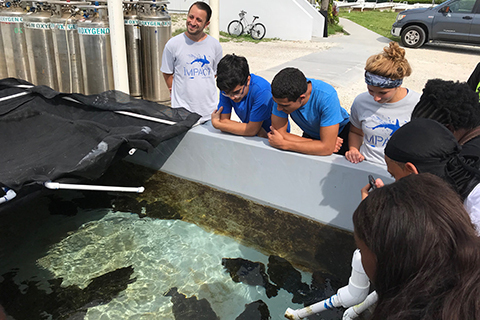 The IMPACT program is designed to provide students from under-resourced communities the opportunity to gain hands-on science and graduate student led shadowing experiences in marine laboratories. 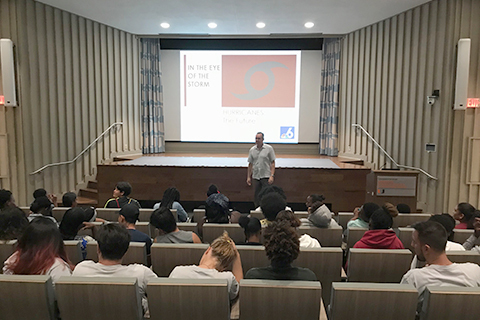 The ultimate goal of the program is to offer the program participants alternatives and ensure that these students graduate from high school and college. 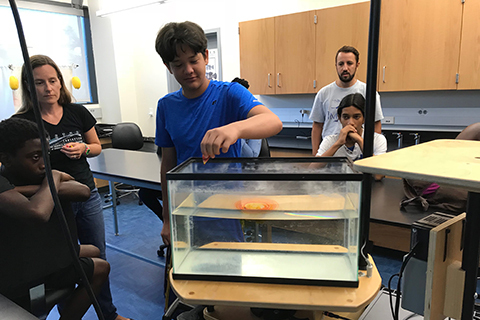 Since 1999, the Upward Bound Math and Science (UBMS)/IMPACT program has transformed the lives of over 1,000 students; and this program has a 98 percent high school graduate rate. In fact, 95 percent of program participants continue on to attend colleges and universities. The UBMS/IMPACT program is unique because it is the only program that is stationed in a science museum. 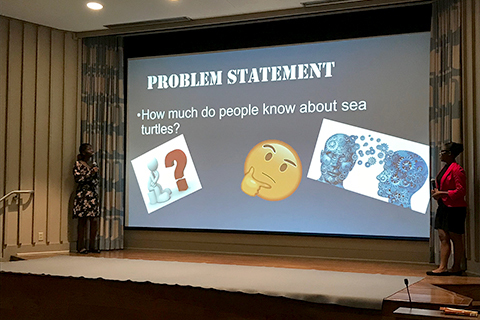 This program is funded and made possible by a grant from the U.S. Department of Education’s TRIO Program. Please contact Touri White or visit Upward Bound Math and Science (UBMS) for more information.